Pantone, Inc.: Acquisition By X-Rite, Inc. Since the 1950s, the Pantone corporation has led the market for providing solutions to the problems experienced by printers and designers in maintaining uniform colouring standards. The success of the business and the value of its name can perhaps best be demonstrated in the recent acquisition by X-Rite, Inc. X-Rite, Inc. were prepared to pay a total amount of $180 million in October 2007. The deal was structured entirely as a cash transaction (rather than with assets or more variable or questionable worth such as shares). One significant measure of a business’s worth is clearly its profits and in 2006 (the year before the completion of the acquisition) Pantone was able to boast profits of about $42 million, a significant factor in persuading X-Rite, Inc. to pursue the venture. 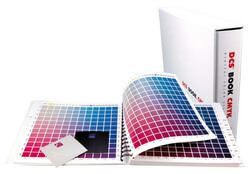 Pantone is likely to remain long – term as a discrete business entity within the group structure of X-Rite. The deal involved tying key Pantone employees into the business and it is expected that X-Rite would hope for this to be a long – term arrangement. X-Rite has been quoted as hoping that the acquisition of the Pantone business will broaden its range of revenue generating opportunities so that the group structure as a whole is able to prosper. At this early stage it is probably too early to tell whether X-Rite’s goal – consolidating its position as one of the market’s leading colour management systems providers – has been successfully achieved. The next few years will however be instructive.